The very presence of a capital ship can often create strategic importance. Today, aircraft carriers exert this influence, but prior to the Second World War, it was battleships that were known by name that caused concern or even fear. The Hunt for Hitler’s Warship by Patrick Bishop describes the impact of one German battleship in disrupting Allied shipping in World War II and the unrelenting effort Great Britain exerted to sink her. 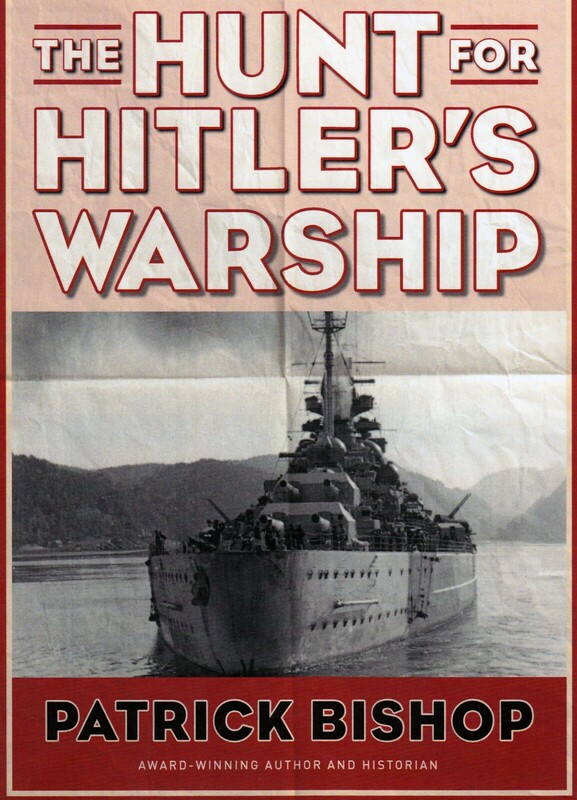 Hitler built two ships in the Bismarck class. The second was Tirpitz. Posted to the northern Atlantic, she operated out of the fjords or Norway with the primary mission of interdicting convoys resupplying the United Kingdom and Soviet Union. Patrick Bishop points out through this detailed and well researched book that ironically, the potential of meeting Tirpitz at sea in effect represented the sum total of her operational success. 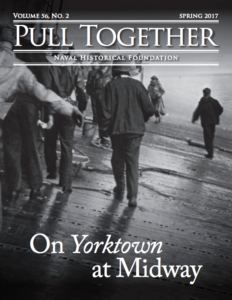 With the threat of a suite of eight 15- inch guns, convoys were delayed, rerouted, or cancelled. In one case, Bishop shares the tragedy of a convoy that scattered as Tirpitz got underway, only to enable other German assets — aircraft and submarines – to destroy the dispersed shipping piecemeal. In fact, as a historian with the benefit of hindsight, Bishop points out that more Allied shipping was lost to air and subsurface attack than from surface engagements. Submarines and aircraft were more economical as well as more efficient, since they burned less fuel per ordnance on target and the subsequent result. To counter Tirpitz, the British embarked on several asymmetric attacks. First, it should be noted that the UK’s aviators constantly sought and harassed Tirpitz whenever possible. More daring however were undersea attacks such as the relatively successful ‘X Craft Raid,’ which is covered in more detail in the book of that title written by Thomas Gallagher. After these midget submarines scored multiple hits on Tirpitz, she was out of commission for six months. While Bishop does not cover the X Craft to the same level of detail as Gallagher, he does cover the entire campaign against Tirpitz, including the famous ‘Dam Busters’ of 617 Squadron who employed a ground penetrating ‘Tall Boy’ against Germany’s vessel. 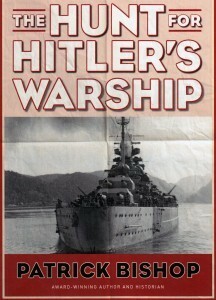 The Hunt for Hitler’s Warship is a story well told and well written with detail that builds on previous scholarship. Patrick Bishop shares enough of the personal stories of the men who served aboard Tirpitz or had her in their sites that the tactical level challenges emerge as lessons learned. 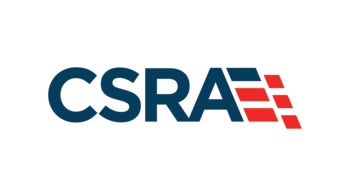 Additionally, he covers the entire campaign so thoroughly, that the strategic impact of this capital ship is also well understood, yielding a valuable strategic level case study for years to come. Stephen Phillips served in the U.S. Navy as a surface warfare officer and Explosive Ordnance Disposal Technician. He is the author of The Recipient’s Son, a novel about the U.S. Naval Academy published by the Naval Institute Press.